When everything in your model collection is packed up and boxed and you are in a new home, you are given a rare opportunity to rethink everything. And in my case, a lot has changed, not just in terms of the new home, but also plans for the future. Previously I had a small section of a spare room to use for the locoyard model railway, but that’s no longer the case. The new layout will be located in one of three places, the first being the attic/loft. 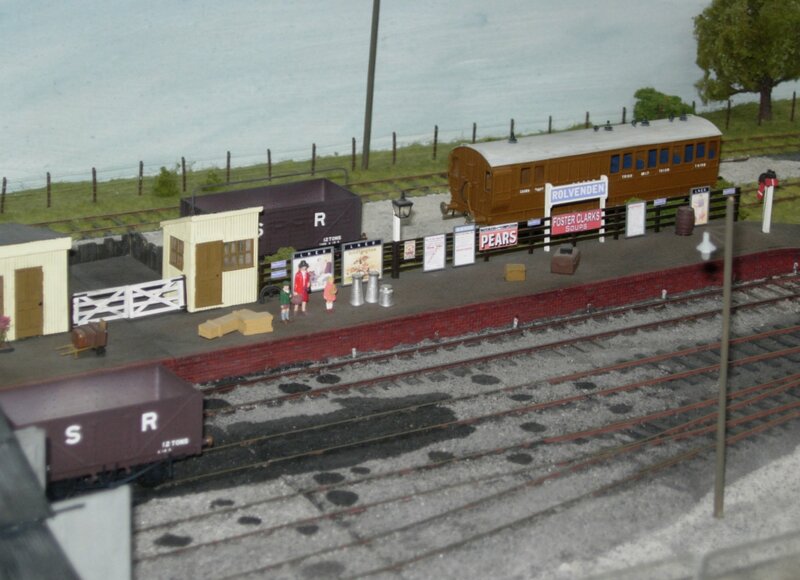 However, head space is too tight for this to be a viable model railway location. The second choice would be a shed, but at present there is no shed! Option three is the most feasible – to use the garage. This isn’t without it’s challenges. One challenge will be improving its security, another checking the electrics are ok. The garage will not exclusively be a model rail location, as there is plenty other stuff to store, but should offer more space than before. I’ve considered the extent to which things might change and thought about scale. Changing scales would not be without benefits. Currently the entire collection is 00 gauge. 00 gauge is the most heavily supported scale in the UK, but is fundamentally flawed. This is because it borrows track from H0 gauge, but at a larger scale. 00 scale is at 1:76 but the track width of 16.5 mm leading to a -12% inaccuracy. Re-gauging to EM increases the track width to 18.2mm but reduces the inaccuracy ratio to -3.5%. EM gauge is the easiest correction to the track problem of 00 gauge, but still not easy for your average modeller. P4 scale at 18.83mm is even more accurate, but harder to achieve. 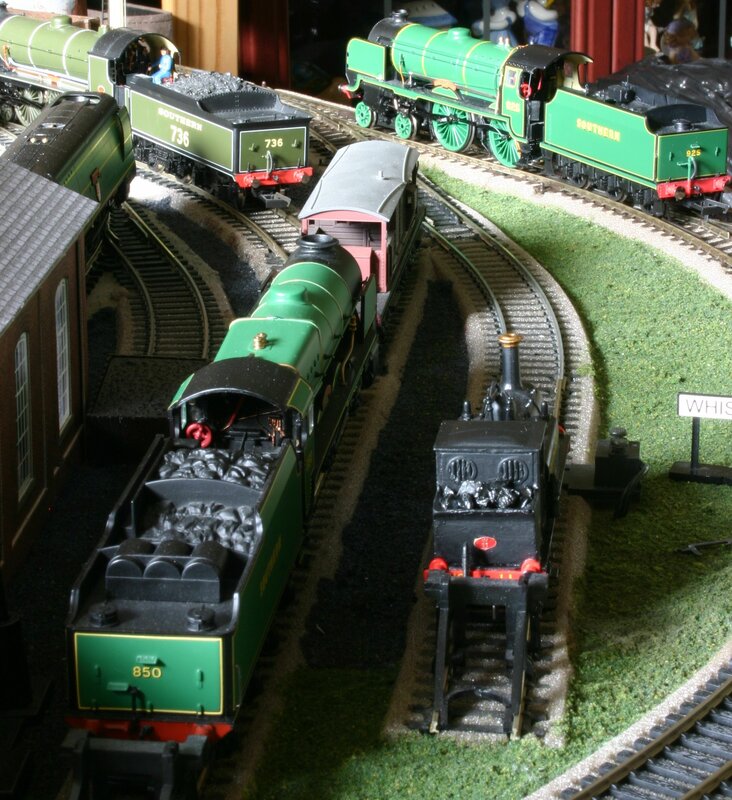 N gauge is definitely an option to be seriously considered. In the UK this is at a 1:148 (rather than 1:160 everywhere else) and suffers from a -7% track to scale inaccuracy difference. So UK N gauge is flawed, although not quite as noticeably as 00 gauge. N scale models in the UK are fast becoming far better than ever in the past. Naturally they give you much smaller models that are not usually as good as an equivalent 00 scale model (that said, modern N gauge is better than some older 00 gauge!) The benefit of this scale is that you can squeeze much more into a given space than 00 scale, so long express and freight trains become real possibilities. An option with the opposite benefit and dis-benefits is to go for a bigger scale! 0 gauge with 32mm track uses a scale of 1:43.5 in the UK and 1:45 everywhere else. In the UK the relative difference in scale and track width is -3% which is not significant. 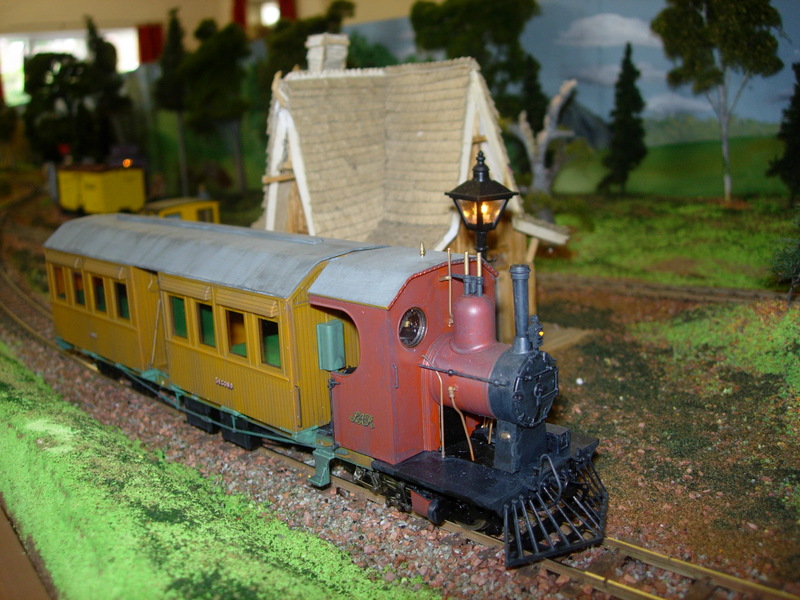 0 gauge can give you a level of detailing that is incredible – steam engines with internal motion for instance. It is very space hungry though and relatively more expensive. Although dramatically growing, the range of off-the-shelf products is relatively small. 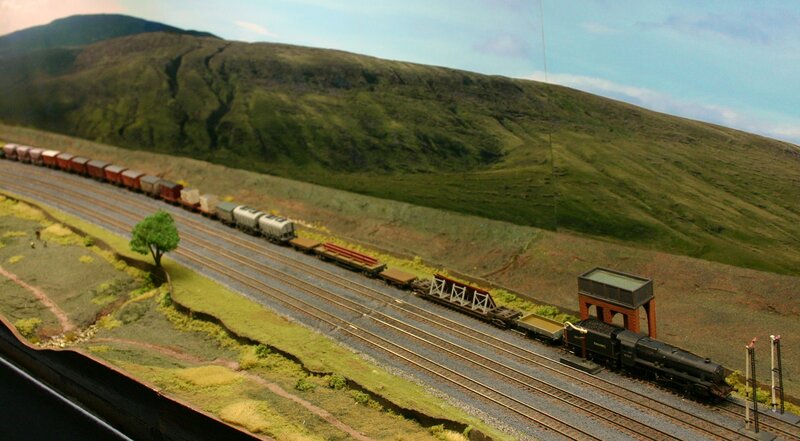 There are lots of other gauges and scales of course, but for those who have limited space, and/or funds and/or kit model making skills 0 gauge is the biggest and N gauge the smallest to consider. That being said, I should add that there is also a whole other dimension to think about – narrow gauge. 009 gauge for instance uses N gauge track at 00 gauge scale. Peco have started selling RTR stock for 009 gauge and Heljan will be producing locomotives in the not-too-distant future. If starting completely from scratch consider the best compromise for you between size and space. Consider if you had a 5 metre length of space. 0 gauge would give you a scale length of 217.5metres, 00 gauge 380 metres and N gauge 740 metres (nearly an impressive 3/4 of a km). Changing scale is a drastic thing to do and although not out of the question I have now discounted it. It would require selling most items, so would take time and there will be a greater element of financial loss. Selling costs and rising postal charges means you will loose out most of the time. So the decision’s so far in regards to the new layout are that it will be 00 gauge and located in the garage. Next decision will be region/era/fiction/non-fiction/location! Next Thoughts – What, Where, When? I changed from OO to O a few years back. Although I enjoy the modelling potential of the larger gauge I do miss the ability to have a continuous loop (for those moments when you just want to relax with a beer and watch trains go past in the comfort of your own garage). Also, as you said, it is more expensive and not just pro rata against OO but probably 5 to 10 times for good RTR stuff. The garage works OK for me although it’s cold in the winter – the summer’s not too bad as it doesn’t get too much sun on the roof. If I could just sort the woodworm droppings on the track, it’s would be perfect. Hoping the garage will do the trick, but as you say, winter will be quite cold methinks! I certainly can see the appeal of 0 gauge. I’ve long considered an 0 gauge model light railway, with an A1X terrier or two! Re O gauge light railway, Dapol are producing a Terrier apparently- could be your chance, Didn’t the Weston, Clevedon & Portishead have one? Yes they did, I remember Hornby released a ltd edition model version in GWR green. The Dapol 0 gauge terrier is tempting, I’m quite interested to see they are producing a version of Kent & East Sussex Railway’s 3 Bodiam, which could prove hard to resist for me! Interesting blog post and you’ve touched on some of the thoughts that I faced when I got back into having a layout after a long hiatus. For most of a decade while my family was younger and space was limited I was without a layout. Having completed a couple of railways previously, I knew what I was missing out on. I filled this hiatus with modelmaking and took advantage of the time to try out scale and gauge combinations as they caught my attention. I’m grateful to have dabbled in a few new parts of the hobby and I certainly gained some terrific first-hand experienc and as I consider those same scales and gauges with respect to a future layout I have a greater understanding of what I liked and what might be too much of a roadblock. This spring I started my current layout, still based on North American practice and still in my native N scale. At a very high level, this choice is no different from what I’d done a decade ago on past layouts. I feel like I have much deeper understanding of what I enjoy and why what I’m doing “works” for right now. It sounds like a good idea to try out different scales to experience something different. Certainly food for thought, thanks for the comment!